In August, our company has signed a contract with the Philippines customer ordering 15 units of shacman heavy duty trucks after near one month negotiation. Since the customer pay the deposit, we have arranged to produce. 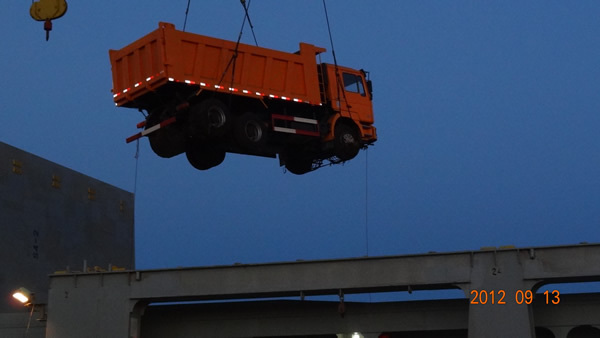 One month later, all the shacman dump trucks have been produced. Then in September, the 15 units of shacman dump truck have been park in shanghai port and wait for shipping vessel. On September 11, the shipping vessel has arrived to shanghai port and begin to load. After 5 hours loading , the 15 units of the shacman dump truck have been loaded to the shipping vessel. According to the shipping vessel plan, the 15 units will arrive to destination 20 days later.